Novgorod Kremlin (Detinets) is a federal museum-reserve included in the UNESCO list. 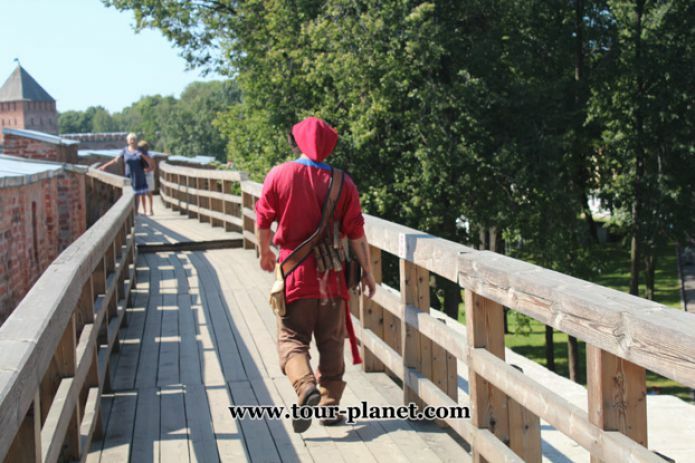 Having visited the Novgorod Kremlin, a tourist comes into contact with the culture and history of Ancient Russia, gets real pleasure, admiring the beauty of architectural solutions of ancient builders and the views from the belfry and from the towers. Novgorod Kremlin, and in the old days it was called - Detinets, the oldest of all surviving in Russia. The first mention of it dates back to 1044 year. 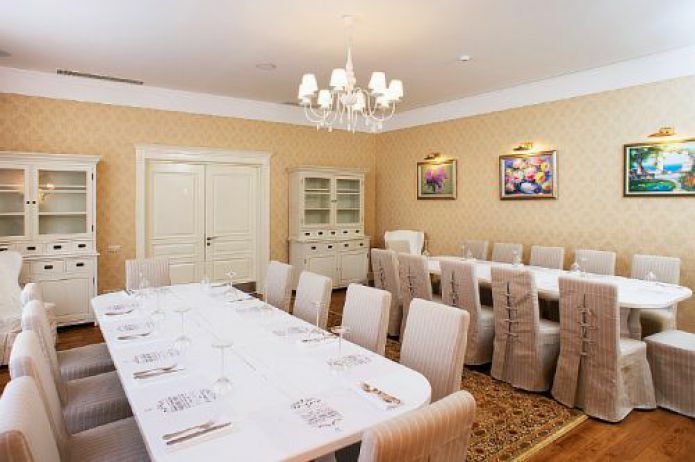 Founded by Novgorod Kremlin Prince Vladimir Yaroslavich, on the left bank of the Volkhov. However, scientists suggest that before the first mention there were already fortifications, and the construction of the Kremlin was their expansion. The original Detinets was made of wood, but over the years it was rebuilt many times, and finally, after Novgorod joined the State of Moscow in the 15th century, it became stone. By the way, around the same period the Moscow Kremlin was rebuilt. This is probably why the walls of the Moscow and Novgorod Kremlin are similar. Until the 18th century, the Novgorod Kremlin performed purely defensive functions in north-west Russia. And after the accession of the Baltic states to Russia, he lost his defensive purpose, however, like many other fortresses of Russia. 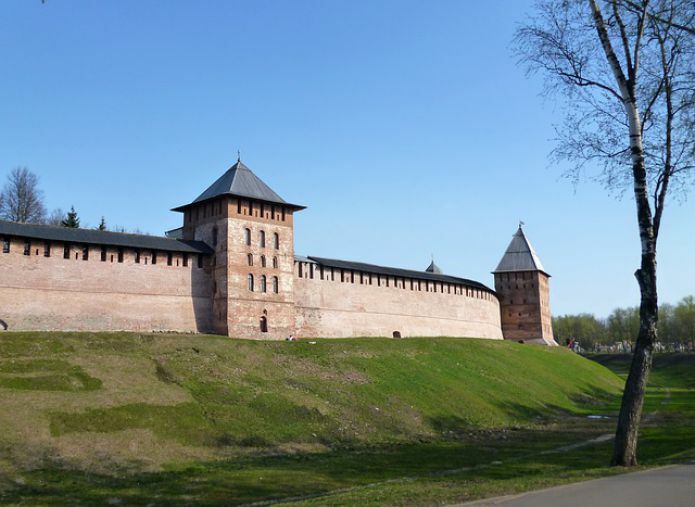 The Novgorod Kremlin has an irregular oval shape with twelve towers. Nine of these have survived to our time, two of them: Fedorovskaya and Metropolitan have a round section, and the rest: Vladimirskaya, Spasskaya, Zlatoust, Palace, Pokrovskaya, Knyazhaya and Kukui, rectangular. In Veliky Novgorod, on the territory of Detintsa, is the oldest of all the surviving churches - St. Sophia Cathedral, it was he who was built by Prince Vladimir. The snow-white walls of the cathedral, lined with limestone. The Cathedral is crowned with five domes, and the sixth above the entrance. The cross of the main, in gilding, dome is crowned with a lead dove - the symbol of the Holy Spirit. Partially preserved paintings and frescoes of the XI – XII centuries. outside and inside the St. Sophia Cathedral. Six saints are buried in the cathedral. It is noteworthy that St. Sophia Cathedral - the current temple. In the southeast of the Novgorod Kremlin is the Church of Andrei Stratelates built in the XV - XVII centuries. The church has one small dome, the Church has one small dome and a single-span belfry. This church was built on the site where the ruined temple of Boris and Gleb once existed. On the walls and inside the church some fragments of frescoes are preserved. The Church of St. Sergius of Radonezh, built in the 15th century, is located in the north of Detinets, and it is unique in that it is the only gate church that has survived throughout Russia. The church is small with a rectangular section and a triple head, originally was a brownie. The inner walls of the temple are painted with frescoes consisting of miniature compositions telling about the life of Sergius of Radonezh. Now the church serves as a museum repository. From the west, to the Church of Sergius of Radonezh, there is an adjoining Time Ringing - a tower built in the 17th century. 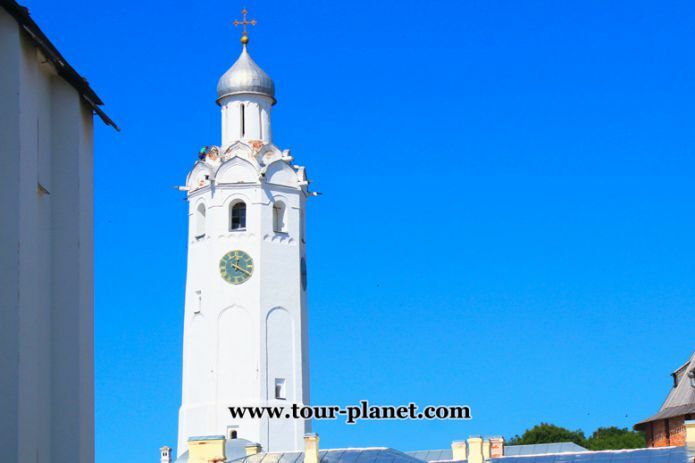 This tower reaches 40 meters in height and is the tallest structure of the Novgorod Kremlin. At the top of the tower, denoting the direction of the world, 4 dials are installed. Another feature of Clock calls is that it has a rather noticeable slope. 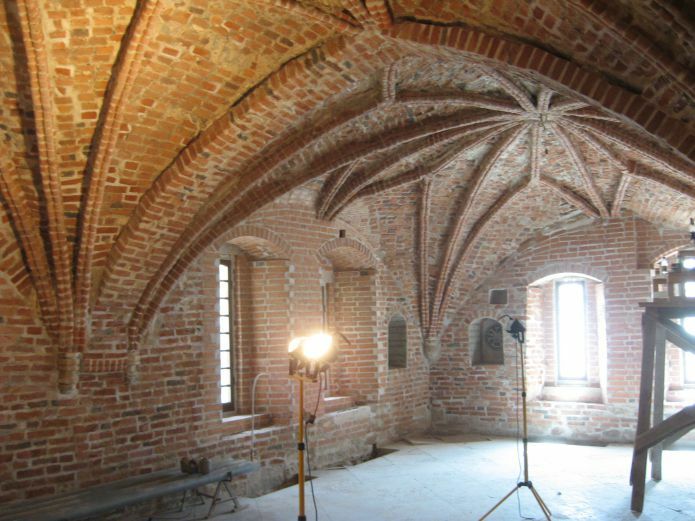 The Vladychnaya Chamber, or as it is now called, the Faceted Chamber, was built in the first third of the 15th century. Installed in the middle of the room is a massive pillar of the main hall. The entire vault is covered with edges - ribs. So the Faceted Chamber and got its name. Now there is a museum in the ward, which presents the treasures of Russian jewelry and applied arts of the 11th-12th centuries. Here you can also look at the salaries of gospels and icons, at church utensils, at the unique monuments of Old Russian written language and items of religious attire. Along the entire western wall, in the south of the Kremlin, the Voivodsky Yard once was located. 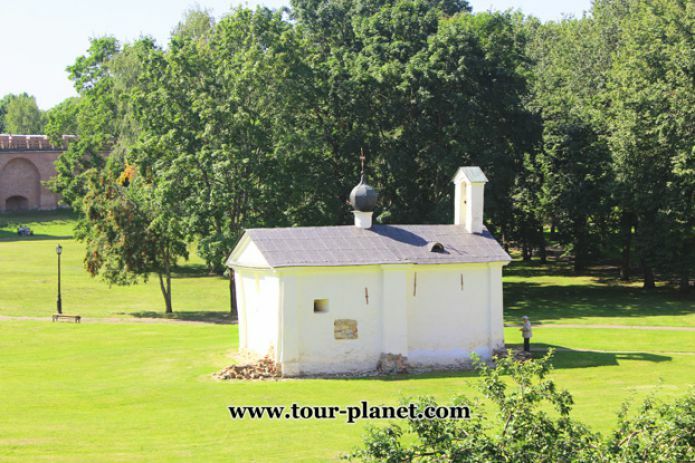 It was built at sunset of the 17th century, instead of the Domestic court. The Voivodsky courtyard complex included - the Church of the Intercession of the Most Holy Theotokos, the only preserved construction of this complex. The construction of the church dates from the XIV century, but in the period from the XVI to the XVIII century, it was rebuilt many times. The fate of this church is also unique. In the XVII century. It was the church governor of Novgorod. From 1810 to 1832 - part of the prison complex of the women's prison. Since 1860 the provincial archive was located here. Since 1889 - the poorhouse. From 1937 to 1938 the church was adapted for museum storage. During the war of 1941-1945, the temple was severely damaged, but in the post-war years it was restored and converted into a warehouse and workshops. 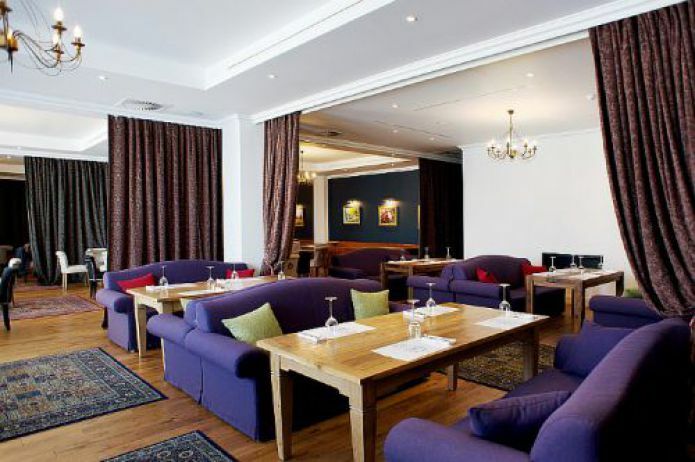 After restoration in 1968, the restaurant “Detinets” was located in the church, which existed until 2009. Now the Church of the Intercession of the Most Holy Theotokos is under the jurisdiction of the Russian Orthodox Church. Above the eastern wall of the Novgorod Kremlin stands a wall-like structure with an octahedral cupola and five arches. This is a monument of architecture of the XV - XVIII century - the belfry of St. Sophia Cathedral. Nearby is the exhibition of the bells of Novgorod. The belfry is equipped with a viewing platform, which offers a magnificent view of the entire ancient city. 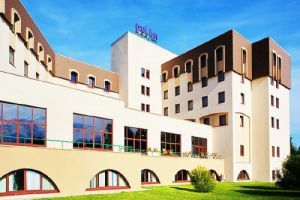 Detinets has preserved many monuments related to civil architecture. One of them is the building of office places, a worthy example of architecture of the XVIII-XIX centuries. Today it houses a museum reserve. The main attraction of the Novgorod Kremlin, just as significant as the Sofia Cathedral, is the monument “The Millennium of Russia”, which is located in the center of the Kremlin. The opening of the monument took place in 1862. In the center of the monument is installed "power" with a cross at the top. High relief figures, prominent figures of Russian literature, history, art and science from the princes of the 10th-11th centuries to famous representatives of the 19th-century culture, reflecting the main stages of the formation of the Russian state, are placed on the pedestal around the sphere. St. Sophia Cathedral is perhaps the most outstanding monument of ancient Russian architecture. In ancient times, the significance of the Novgorod temple in public and political life was incredibly large. Built by Prince Vladimir - the son of Yaroslav the Wise in the middle of the XI century, by the 30s of the XII century, Sofia ceased to be a home church, becoming the main cathedral of the Novgorod veche republic. Before Novgorod lost its independence, the St. Sophia Cathedral was a symbol of Novgorod the Great. The traveler, who is on the territory of Novgorod Detintsa, will never pass by Chaszvoni, since this ancient Russian monument is far visible from afar and looks great close. The building itself has a clearly visible slope towards the north-west. As a rule, the building of Clock calls can often be seen on postcards and in print publications representing views of Veliky Novgorod. The Church of the Intercession of the Blessed Virgin, is a white cube without any decorations and excesses, except for the semicircles going down. Above the rather poor walls there is a dome with a pointed hemisphere. In Veliky Novgorod all ancient churches have similar chapters; it is the same distinctive and logical form as the columns for the temples of ancient Greece. After the Novgorod churches, all the ancient temples of Moscow, Yaroslavl and other ancient Russian cities received this form of head. 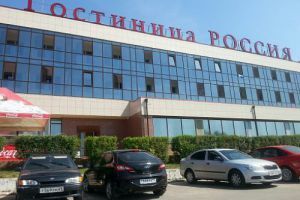 A tourist who is on the territory of the Novgorod Kremlin should definitely visit the most interesting exposition dedicated to the history of the Novgorod region and the Great Novgorod itself in the Office Building. Here you can look at the tools, craftsmen, household utensils, bark letters, military equipment, which show the visitor the world of Ancient Russia. It is noteworthy that the museum has one of the largest collections of ancient Russian icon painting in the world: about 260 unique works, including a masterpiece of the 11th century, a two-meter icon written in the Byzantine style “Peter and Paul”. 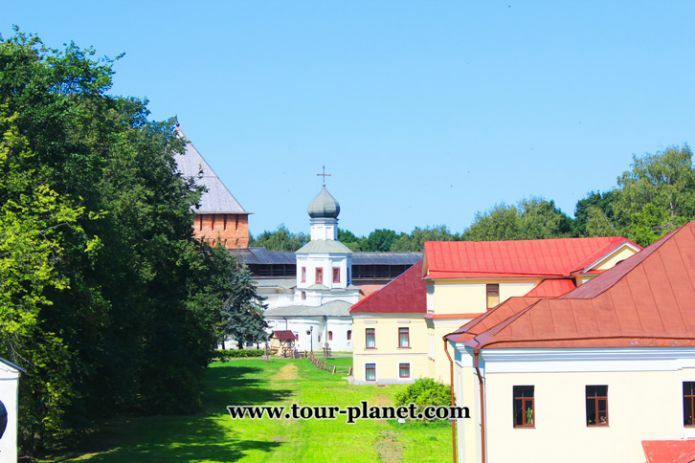 For a traveler who came to Veliky Novgorod and is interested in the history of ancient Russia, it will be informative to visit the Church of Andrey Stratilat located in the Novgorod Kremlin. The history of this church is quite interesting. The fact is that at this place in different periods of history there already existed two churches. The first one was built in the X century and after a hundred years later it burned down, the second one was built, which stood much longer - five hundred years, a separate extension from it and became the third one, it still stands today. Novgorod Faceted Chamber - the most interesting monument of ancient Russian architecture. 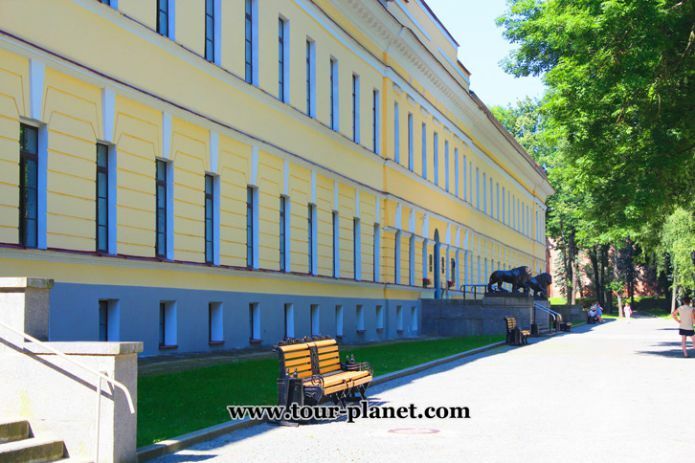 It is located in the north of Detinets, behind a square, between the shadows of the trees of which until 1993 the famous Russian poet Gavriil Romanovich Derzhavin (1743–1816) rested. Outwardly, the Faceted Chamber now looks unremarkable: time and constant restructuring rather strongly distorted its original appearance. But an inquisitive lover of Old Russian architecture will immediately identify signs indicating the very respectable age of this building. 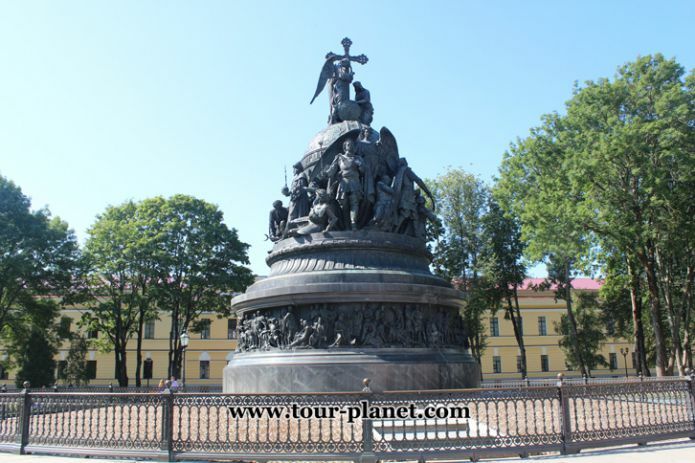 There are no analogues to the monument “Millennium of Russia” in the world. He talks about any particular event, but about a whole century and is dedicated to the whole people, and not just one famous person. He can delight or cause hostility, but, having looked at him at least once, it is already impossible to forget him. The huge mass of metal, like a magnet, attracts and forces to bypass the monument again and again. This fascinating circular motion conveys the unhurried pace of Russian history, and the gaze involuntarily glances from one tier to another, until it stops at a cross, clearly visible against the background of a clear sky. 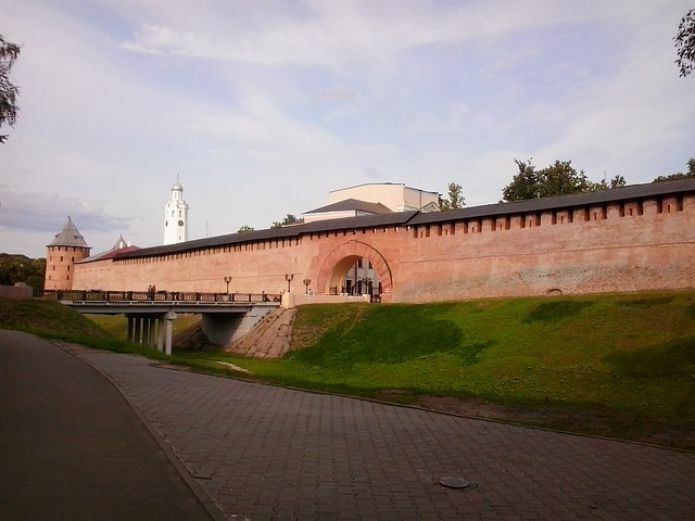 This grand structure, towering over the Novgorod Kremlin, has the appearance of a wall, which has five spans in the upper part. This type of structure was invented by Archbishop Euthymius II, who later repeated only twice in Russia. Under the belfry there are five ancient monumental bells, and above the bells are poured out already in modern times. Every day you can enjoy their ringing, which is spread over the city. This monument of ancient Russian architecture will always be a clear proof of the inexhaustible talent and spiritual power of the Russian people.